What does the New Radiance Professional Vitamin C Face Serum do? This vitamin C face serum takes years of your appearance with your skin looking more radiant and firmer. It fades fine lines and wrinkles, acne scars, freckles, age spots and discolorations. Vitamin C and hyaluronic acid are two of the main ingredients in this facial serum and combined, are proven to have rejuvenative, moisturizing and healing properties in our skin. Along with the other antioxidants and cellular repair ingredients, this serum has a fabulous mixture of rejuvenative potential for your skin. Adds firmness to your face. No parabens, sulfates, gluten, alcohol, phthalates. 98% natural and 72% organic. Who should use the New Radiance Vitamin C Face Serum Anti-Aging Formula? This vitamin C facial serum is safe for all skin types and skin conditions, such as aging or dry skin or those with acne or eczema. It is also suitable for vegans and since it is also paraben free, sulfate free and alcohol free, it is most probably suitable for those with sensitive skin as well. So if your skin has been damaged by the sun, and you have age spots or sun spots, even problems with hyper-pigmentation, then the New Radiance vitamin C serum will help to even out your skin tone and refresh your complexion. 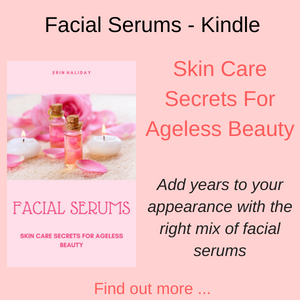 The other ingredients in this facial serum help to rehydrate your skin and plump up the collagen, so your skin looks fresher, healthier and younger. How do you use the New Radiance Vitamin C Serum? Cleanse your face and pat skin dry, then using the pad of your finger apply a small amount of the serum to the required areas – face and neck. 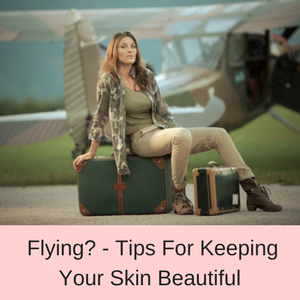 Allow to dry before applying moisturizers and makeup. Can be used daily, but avoid contact with the eyes. Bottle with dropper. 1 fl oz (30 mls). This vitamin C face serum is made in the USA in a FDA approved facility, is free from parabens, sulphates, alcohol, phthalates, is not tested on animals, is 100 % plant based and so suitable for vegans, and is 98% natural and 72% organic. Vitamin C is a super antioxidant that protects our skin from free radical damage, caused by the sun, pollutants and our diet. Free radicals actually damage our cells because their molecular structure is lacking in an electron, so each free radical molecule needs to steal an electron from healthy molecules. 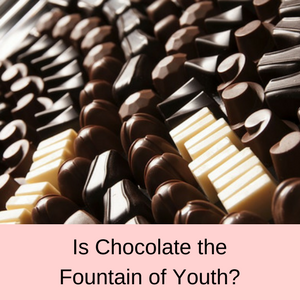 It is this action that can damage healthy molecules and cells, making them age prematurely and giving our skin a tired and unhealthy appearance. Vitamin C is proven to be effective in helping to rejuvenate our skin and is a very popular ingredient in ant-aging products. This product also has clinical strength 20% vitamin C which has been proven to be the percentage at which maximum absorption occursa. Vitamin C face serums are extremely popular due to their healing properties and their ability to give our skin a healthy glow. Some people believe that serums with a 20% solution of vitamin C are the best vitamin c serums you can buy. Vitamin E helps to protect our skin from environmental pollution, protects us from UV radiation, moisturizes our skin and has anti-inflammatory and wound healing properties. Vitamin E is easily absorbed by the skin and also facilitates the absorption of other compounds into our skin. 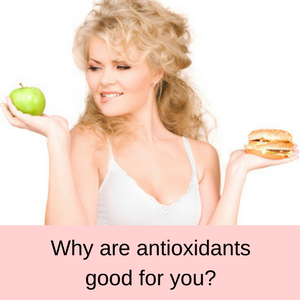 As an anti-oxidant, vitamin E protects our skin from free radical damage and reduces the signs of aging, such as fine lines and a tired, unhealthy look to our skin. Topical vitamin E also prevents moisture loss from our skin as well as moisturizing our skin. 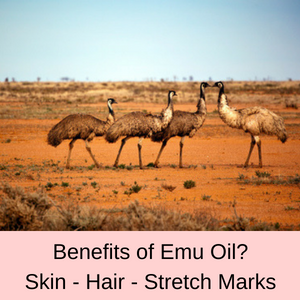 It is a popular ingredient in face, hand and body lotions as well as serums. Hyaluronic acid is a carbohydrate, not an acid and is considered to be the fountain of youth by many cosmetic companies. This claim is due to its ability to absorb more than 1000 times its weight in water, making it a very effective ingredient in moisturizers and facial serums. 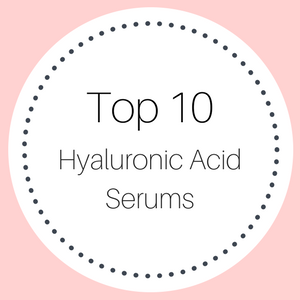 Hyaluronic acid also helps to plump-up our skin and give it a more youthful and fresher appearance. Known also by its trade name Restylane, hyaluronic acid is used as a dermal filler in anti-aging treatments and also as an injection to treat inflammation and pain in osteoarthritis. 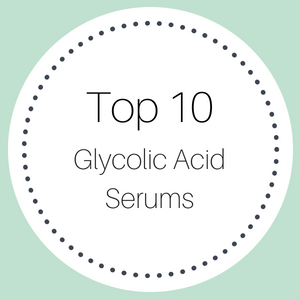 All of the hyaluronic acid serum reviews I have read give very positive feedback about any serum containing this ingredient. Amino acids are the precursors of peptides and proteins, which are essential in many bodily functions, not least is the production of skin and collagen. Many skin care products now include amino acids in their ingredients as they help to repair and nourish our hair, skin and nails. MSM is a powerful combination of sulfurs that helps other hydrating ingredients penetrate the skin deeply, delivering a super boost of hydration to our skin. It is also essential in cellular repair and the growth of cells and has long been used as a treatment for acne prone skin and healing scars. MSM also helps to reduce skin discolorations and reduces dark spots and hyper-pigmentation. Made from rice bran oil, Ferulic acid is a very powerful antioxidant, which has a synergistic effect with other antioxidants. In the presence of Ferulic acid, other strong antioxidants actually work better. 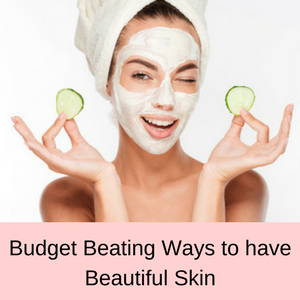 It also has been shown to reduce the damage caused by free radicals, to minimize fine lines and wrinkles and to increase the firmness of the skin. As age old natural ingredient, Aloe Vera was used by the ancient Egyptians to heal burnt and sunburnt skin. It is also beneficial in treating very dry and flaky skin and helps to relieve the itchiness of skin rashes and psoriasis. Aloe also has anti-inflammatory properties and can be used to help acne, as well as its antioxidant properties which assist in the reversal of damage caused by free radicals in our skin. Witch hazel is another old remedy that has been used for years for its astringent and anti-inflammatory properties. It helps to heal rashes and insect bites and has provided relief in eczema and other skin conditions. Witch Hazel is also used as a moisturizer and helps to heal sunburn and dry, flaking skin. Its astringent properties help to reduce the amount of oil in our skin, so it is also of use in treating acne prone skin. Wax esters help our skin to remain hydrated and to feel soft and smooth. Babies have lots of wax esters in their skin and it is one of the reasons that a bay’s skin is so soft. The problem is that as we age, the production of these wax esters slows down and over time, our skin becomes drier and tougher. Jojoba Oil is chock full of wax esters, which replace those lost in our skin. This makes our skin softer and suppler and helps our skin to retain moisture for longer. It is also full of antioxidants which helps in cellular repair. PROS: The majority of online customer reviewers give this vitamin C face serum a 4 or a 5 star rating. 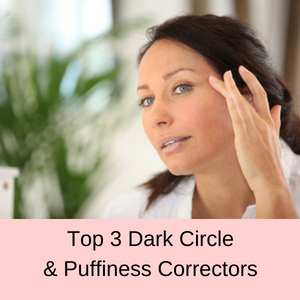 Positive comments included seeing a significant improvement in their skin in only a few days, their skin looks healthier, brighter and with fewer noticeable fine lines. Excellent product- adds radiance and glow to your skin if you use it daily! I absolutely love this product and have been using it for years. It keeps my skin feeling hydrated, also pumper, and has faded some of my freckles that I have disliked for years. I have noticed a difference in texture as well as the lines in my face . 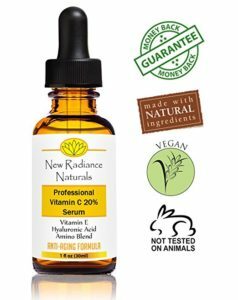 Does the New Radiance Vitamin C Facial Serum work? The vast majority of customers love this facial serum and are very happy with the results after only a few days. 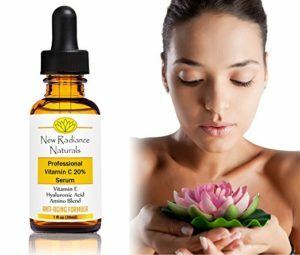 Women who have never used a serum before and women who have tried numerous other products, all agree that the New Radiance Naturals Professional 20% Vitamin C Face Serum does reduce fine line wrinkles, evens out skin tone and gives your skin a much healthier and youthful glow. Vitamin C and hyaluronic acid appear to be an undefeatable combination in anti-aging skin care products. a = Vitamin C and Skin Health, the Linus Pauling Institute. 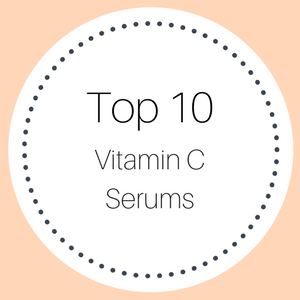 To read more vitamin C serum reviews, click here.